At the invitation of the Right Reverend Hlib Lonchyna, Eparch of the Ukrainian Catholic Eparchy of the Holy Family of London, His Beatitude Patriarch Sviatoslav Shevchuk will make an Official Visitation to the United Kingdom from Thursday 19th October 2017 – Tuesday 31st October 2017. 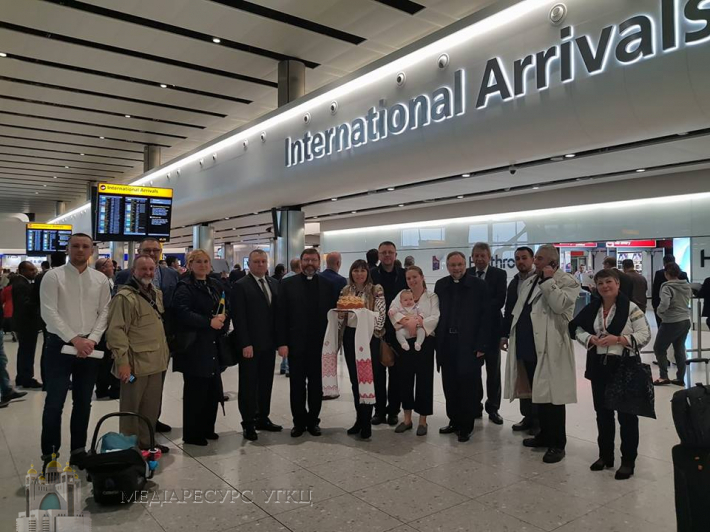 This event is especially important to the Ukrainian Catholic Church in the UK because 2017 marks the 60th anniversary of its establishment; first as an Exarchate and now an Eparchy (diocese). To celebrate this occasion, His Beatitude Patriarch Sviatoslav, will conduct a pastoral visitation to our parishes (20th – 23rd October 2017) as well as strengthen links and collaborations with fellow Catholics in this country. As part of this visit to the UK, His Beatitude Patriarch Sviatoslav will speak at Chatham House (The Royal Institute of International Affairs), he will hold meetings with Ukrainian organisations based in the UK, as well as attend the annual Eastern Catholic Bishops of Europe conference (26th – 29th October 2017) hosted this year by Bishop Hlib at the Focolare Centre, Welwyn Garden City. This year’s theme is “Kerygma – Catechesis – Mystagogy” – how we proclaim the faith, how we teach and explain it, and how we form and nurture Christianity. The conference will culminate with a Pontifical Divine Liturgy at Westminster Cathedral (28th October 2017). His Beatitude Patriarch Sviatoslav will officiate, and His Eminence Cardinal Vincent Nichols will deliver the homily. An additional Pontifical Divine Liturgy will take place at the Ukrainian Catholic Cathedral of the Holy Family (29th October 2017). His Excellency Archbishop Cyril Vasil’, Secretary of the Congregation for Eastern Churches, will officiate whilst His Beatitude Patriarch Sviatoslav will deliver the homily. The newly formed Anniversary Chorus, under the direction of Bohdan Parashchak, will sing the Liturgy on both occasions.